I have been looking forward to creating in the studio, this has however been tempered by the holiday period and visitors and now by a sprained wrist (slipped on the ice again). Hopefully by next week all will be healed. Since acquiring the old nipping book press I have delved into book construction and been trying to hone my basic skills with a few journals and books for gifts. I have been exploring a few different book styles with materials I can easily obtain here, below are examples of journals I have bound with lamb and fish leather available here in Sauðárkrókur. I still have a lot to learn, there are plenty of mistakes in each but book by book I get better. 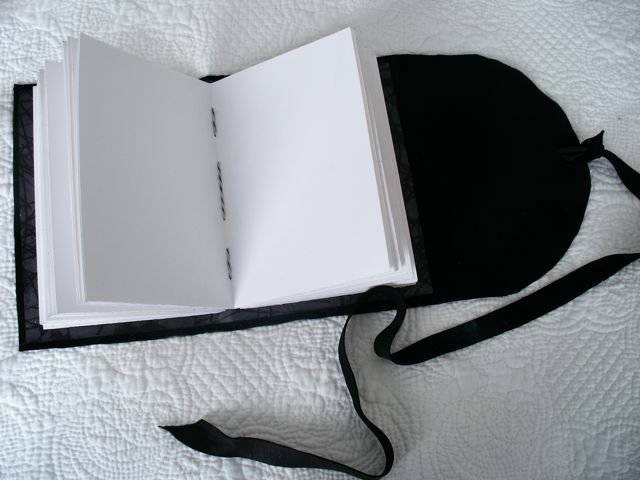 Soft bound drawing journal made with the softest lamb leather. 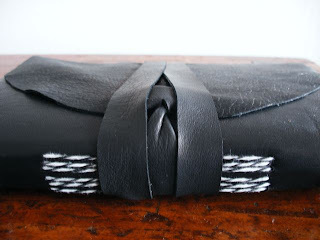 Small hard cover journal made with Wolf fish leather. 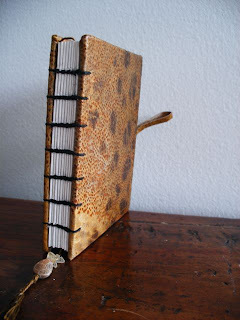 I initially fell in love with bookbinding via a very basic workshop taken during my BA in Fine Art. I never really found the time to delve into it seriously and shelved it as something to pursue later on. I have always been drawn to the artist book at exhibitions and the myriad of ways artists interpret the book form. I have always incorporated a basic bookbinding session with students in my own printmaking classes. 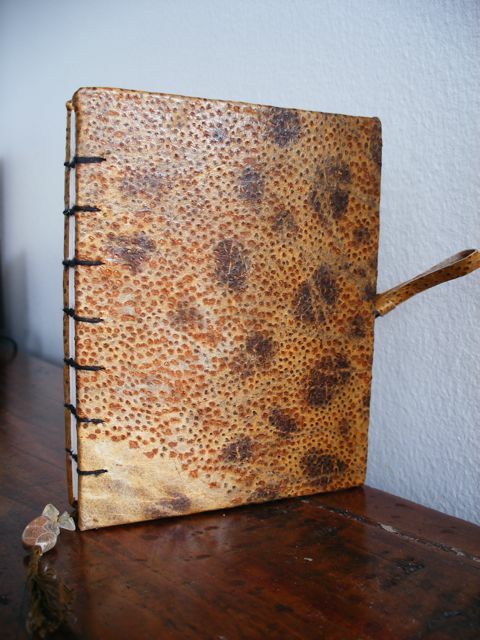 To push my skills further and to gently stretch my ideas I have joined an art group Book Art Object. I stumbled across this blog early last year and when the call for artists was posted at the end of 2011 to sign up for the 4th edition I decided to bite the bullet and go for it. Currently 52 artists around the globe have signed up and we are divided into 7 groups with 7-8 members in each. 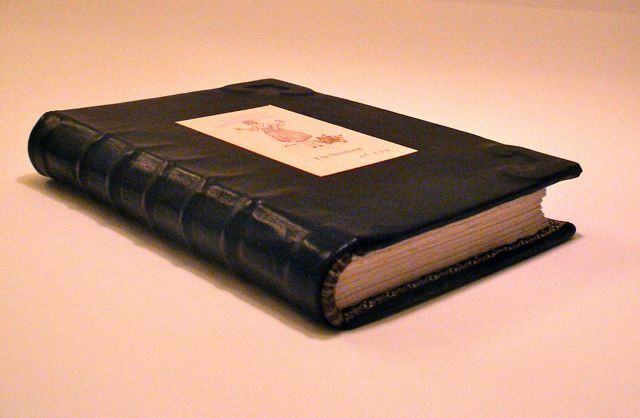 This editions project is based on the artist Sarah Boden's book which was a response to a work by Kurt Johannessen. Basically we had the opportunity to select a title from the 100 in Sarah Boden's book, An Exercise for Kurt Johannessen, I chose Other people, other rooms. Whilst there are many international artists participating, BAO is loosely based in Australia with the founding members. We are to create our response to the title selected an edition of at least 10 books...one for each group member, one to keep and one for exhibition purposes...the edition part will be a challenge even as a printmaker I have never really enjoyed editioning...I get bored and am far too messy....no doubt I will need to clean up my act a bit. I have several ideas swirling in my head of ways to approach this but I know that doing is the only real way for me to get moving in the right direction...at the moment I do not want to risk my wrist not healing fully, so will have to be content to just let the ideas swirl for a bit longer. They look fantastic Vicki...love them! Hope your wrist doesn't take too long to heal. You have to stop falling over...bones don't heal that quickly at our age. Thanks Kerry, fortunately no bones broken. Pleased to see great pictures from the holiday season! Hope your wrist heals soon! It was a lovely time with family, missing them all. Wrist is on the mend. I look forward to hearing where your next move is Hideki. 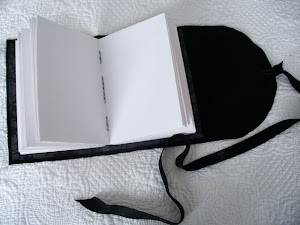 I love blank books! Yours look awesome. It seems to be a particularly cold and icy winter over there. So hard not to slip. Maybe you'll just have to wear wrist guards! 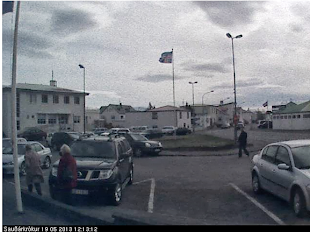 At the moment we are having a bit of rain, which seems to make everything slushy then cold snaps which ices everything. I should have been wearing my Mannbroddar (rubber pull on shoe spikes) but I get a little over confidant at times!